Visiting from Luxembourg, the Cultural Division hosted Mr. Picinati di Torcello to share his revolutionary insights from his co-authored Art and Finance Report 2017. 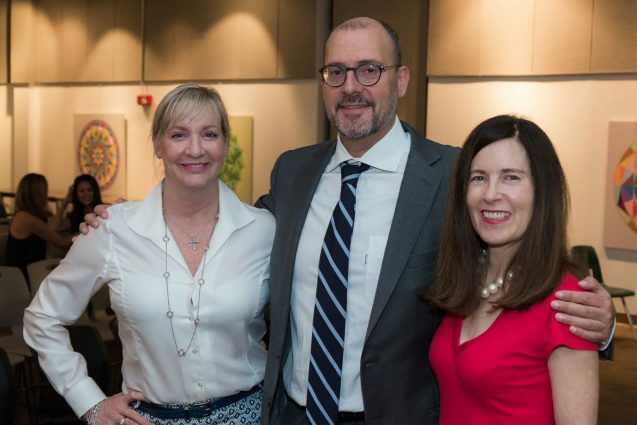 Picinati di Torcello educated the attendees on what these new trends mean for the future of the art industry, locally and globally. The global art market is becoming a force to be reckoned with and one not to get left behind on. Viewing art as an asset class is not only becoming an increasingly popular concept among wealth managers and financial advisory firms, it is attracting the fastest growing generation of art buyers; millennial’s. According to a news post on Artsy.net, millennial’s are acting on the financial potential and long-term value of art collecting faster than any other generation. Picinati di Torcello refers to this evolving perception as “Cultural Brand Expanding,” territory that is being opened by the globalization of the art market. According to the report, within the next 12 months, wealth managers reported being more likely to focus on and invest in estate planning, art advisory, client entertainment, art and philanthropy, and art-secured lending; a credit service for individuals to unlock the tangible value of their art for financial ventures. During 2017, as illustrated by the Art and Wealth Management Survey, issued by Deloitte, the strongest motivators behind the decision to shift attention and resources to the areas listed above are: A need to develop a holistic advisory relationship with clients (77%); art accounting for a larger share of client’s overall assets (73%); and increasing competition within private banking forces new ideas, products and solutions (72%). 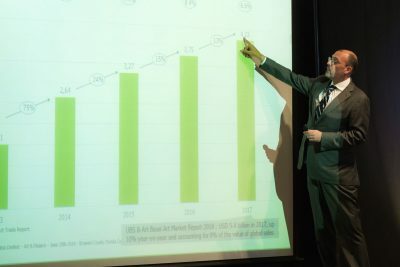 The future implications of this data affect any arts-related services within a community, “The middle market often becomes ignored,” Picinati di Torcello said, “that’s why the key is national funding. To build these up-and-coming artists and local institutions, they need support.” This furthers the argument for strong arts and culture subsidies and helps the artist to secure themselves as a financial resource for the economy. This data is a huge insight to why activity within the arts has continued to increase on the international level. As the division works to make visible the potential of the arts’ contribution with diversifying the scope of various business sectors, in addition to just the artistic contributions to the arts industry, this new, yet opportune, merge occurring between the art and finance sectors seems almost expected. This sends a message that investment and business professionals will have to be proactive in the future to handle these new advances in technology, finance, and logistics, while, at the same time being able to facilitate the growth of their clients’ interest the art market.